One man did all this? 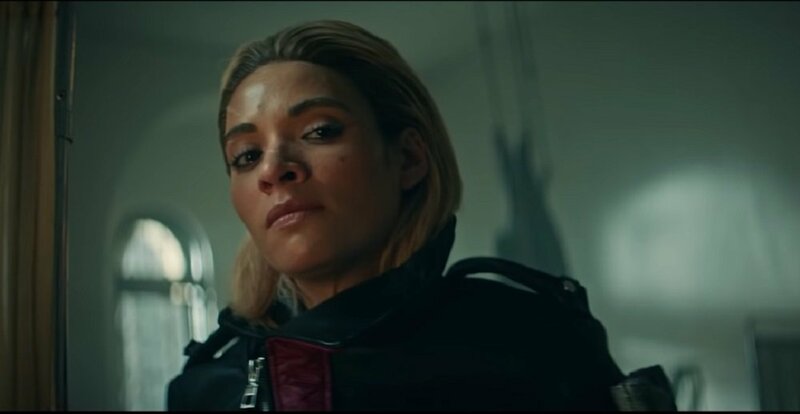 Square Enix has released a new, live-action trailer for upcoming explode 'em up Just Cause 4. The latest in the chaotic open-world series, developed by Avalanche Studios, is set to blow in just a few short days. In the trailer, we visit the encampment of militant coup The Black Hand, coming face to face with their fearless leader Gabriela Morales. More than slightly pissed off at the loss of an outpost, the badass antagonist interrogates one of her wounded soldiers about the carnage from which he barely escaped. Given the story from the bedridden chump, Morales is understandably doubtful of the ability for just one man to commit so much wanton chaos, giving away the fact that Gabriela never played Just Cause 1, 2 or 3. As we all know pretty well by now, your boy Rico is, simply put, a one-man armageddon engine. Just Cause 4 launches December 4 on PS4, Xbox One and PC.